Long weekend essentials from Aveeno, Avon and Live Clean! Aveeno Sensitive Skin SPF 50 Mineral Sunscreen - 88ml - $15.99 - with a new and improved clear-drying formula that uses 100% naturally sourced zinc oxide that provides even the most sensitive skin with broad spectrum UVA/UVB sun protection along with Active Naturals Oat to lock in moisture and nourish skin- with a lightweight, non-greasy and sticky feel that is water resistant up to 80 minutes and free of all parabens, phthalates, dyes, fragrances and chemical sunscreen filters. 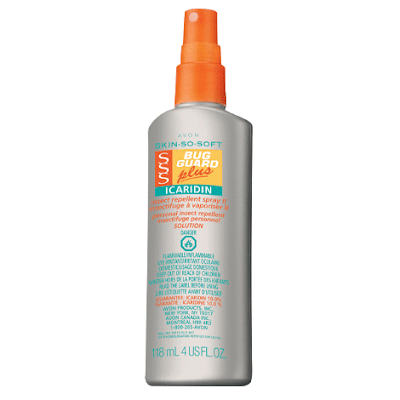 I must admit, I am also partial to the Aveeno Baby Sunscreen SPF 50 - with the same great protection, it's super gentle and won't sting eyes - use it on your baby if you must but feel free to baby yourself with it too! Avon Skin So Soft Bug Guard Plus Icaridin Insect Repellent Spray II - 113g - $14 - a non-aerosol spray that creates an invisible barrier of protection to repel mosquitoes for 5 hours and deer ticks for 7 hours all season long - best of all it lacks the usual bug spray stink and instead has a gentle breeze scent! Live Clean After Sun 98% Aloe Vera Gel - 227ml - $8.24 - packed with the natural moisturizing power of certified organic aloe vera gel, botanicals of Australian tea tree oil, arnica extract and cooling witch hazel to soothe skin that has been overexposed to the sun as it calms and nourishes dry and itchy skin - as well, it purifies and relieves the discomforts of insect bites, shaving nicks and other minor irritations. Available at Shoppers Drug Mart and Walmart stores across Canada. Easy summer lips with GOSH and Sun Bum! Nuxe Nuxuriance Ultra offers global anti-aging! Live your best blonde with Joico Blonde Life! Needful Things - Avon Nail Buffer Block!